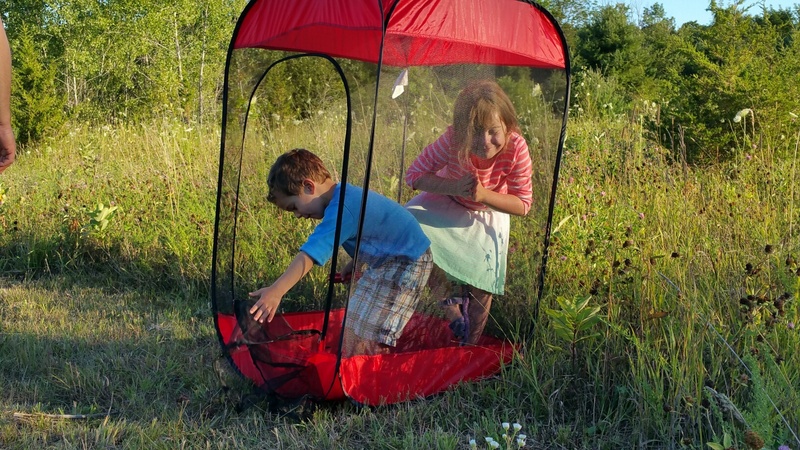 Many of you know that Prince Edward County (along with many parts of southern Canada, including parts of BC), is a ‘hot spot’ for ticks, which sometimes are carriers of Lymes disease. As a peninsula (technically an island) extending out into Lake Ontario, it is the closest part of Ontario to the southern shore, across the lake, in New York state. That, plus a chain of small islands extending even further south, makes it an ideal landing place for migrating birds in the Spring. They often are carriers of ticks and thus bring them into the County as they migrate from the South. 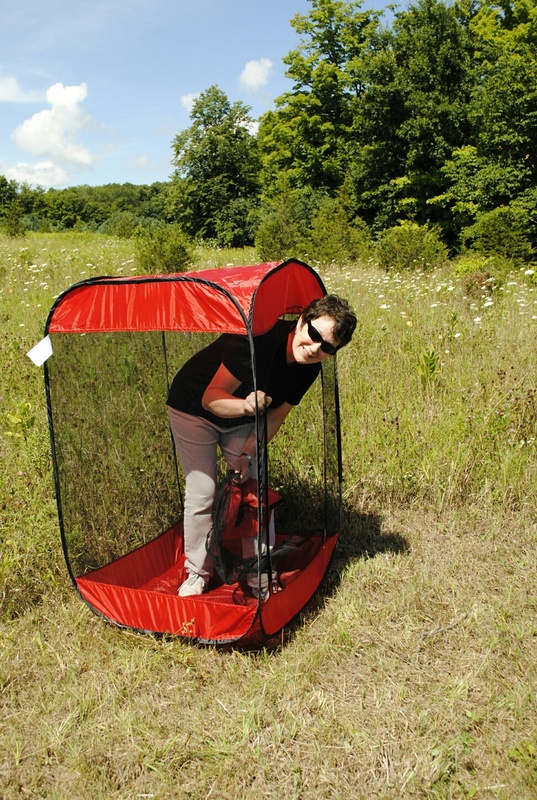 Ticks and Lymes disease have been one of Sheila’s biggest fears about this move. In fact, in our new house under construction, the entry room into the house from the garage is not called the ‘laundry room’ but instead has been labelled ‘the tick war room.’ It does include laundry facilities but also enough room for a person to change and a small bathroom with a shower. Sheila often regaled our home group with stories of how anyone, guest or family member, who has been out in the fields on the farm will not be allowed to leave the ‘tick war room’ without being able to certify that they are totally tick free. She had people laughing as she described the high intensity lights and full length mirrors that she would have installed around the room to make the searches easier. 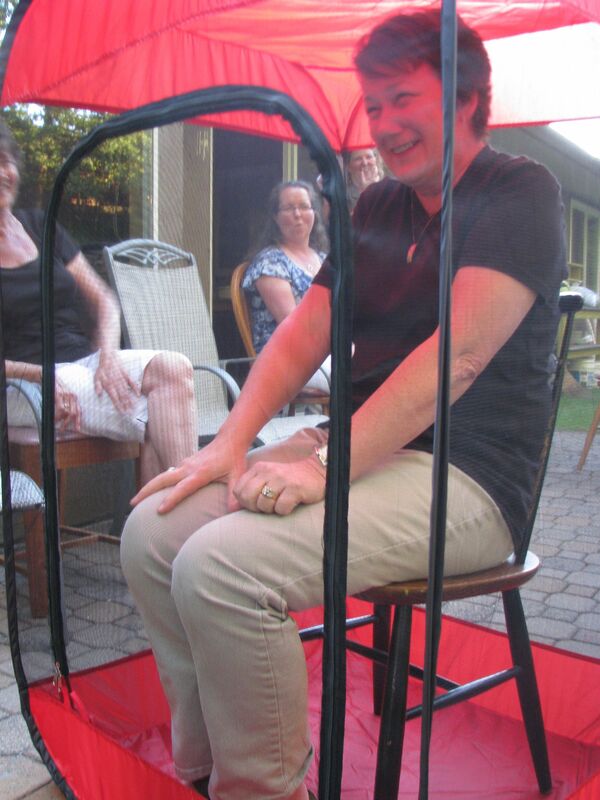 After hearing all of Sheila’s stories and plans, members of our home group presented Sheila with a humorous gift at our farewell party, a little ‘tick proof house’ for her to sit in. Despite the humour of it all, the fears were not groundless. A number of cases of Lymes disease, a very serious illness, has been reported in this County in recent years. At the Prince Edward Point National Wildlife Preserve Area, the closest point of the County to New York State, signs warn visitors of ticks and Lymes disease. Last year, when we visited in May/June, we found at least one tick on someone every day. Despite our finding no ticks yet this year, Sheila has her little ‘tick free house’ ready for use!